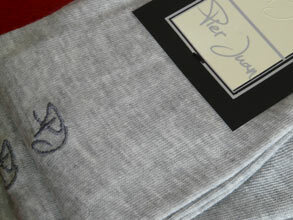 Pier Juan invites you to discover our expertise in a line of socks at affordable price. The Elegance range is exclusively composed of cotton socks that will bring you great feeling of comfort. The socks are made from cottons of the greatest finesse and quality. More affordable than the Prestige line of socks, our cotton socks of the line Elegance are in no way inferior to their big sisters! If they can not afford a velvet presentation, the label is still very neat. They are made with the same methods as all the socks Pier Juan with great care, for a result of very high quality. 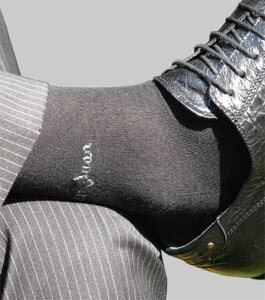 The socks from the Elegance line are knitted from the finest cottons. They do contain a small proportion of polyamide, which is essential to ensure excellent durability in a sock which is still among the finest in existence. They are crocheted hand for a seamless finish. They are also reinforced in the heel to the tip and some models also the sole.